The Shroud of Turin Research Project (often abbreviated as STURP) refers to a team of scientists which performed a set of experiments and analyses on the Shroud of Turin during the late 1970s and early 1980s. Although STURP issued its final official report in 1981, one of its members, in Ray Rogers, published a paper in a peer-reviewed journal just before he died (Thermochimica Acta Volume 425, Issues 1-2, 20 January 2005, Pages 189-194). Of course, we scientists must always be grateful to STURP for allowing us to get the correct radiocarbon date in the first place: STURP’s overwhelming and obsessive certainty in the authenticity of the Shroud—derived from the massive self-deception of believing their own bogus scientific data and illogical conclusions—gave the Catholic Church the confidence it needed to permit scientific dating of the Shroud and proving once and for all that it was First Century in origin. Members of STURP literally convinced the Catholic Church to proceed with the radiocarbon dating program that allowed truly neutral, skeptical, and mostly secular scientists (and thus completely different in character from STURP personnel) to get their hands on a piece of the Shroud and subject it to a legitimate and competent scientific test. I believe if the Church thought it was possible to get a Fourteenth Century date, it would never have permitted the sampling and dating, since its goal has always been to milk the Shroud for its faith-strengthening qualities. For two decades, STURP has been attempting to make up for their error and get back in the good graces of the Church. I always smile when Rogers and the other believers in the Shroud’s authenticity suggest another dating experiment. As they well know, it will never happen! The Catholic Church was burned by the STURP technicians and scientists and never want to experience that again. Coincidently, in his book McCrone refers to the STURP chemists’ “incompetence in light microscopy” (p. 157). McCrone further relates (p. 124) that Rogers, along with John Jackson and Eric Jumper, visited McCrone in 1980 and conned him out of his Shroud sample slides. They deceived McCrone, complaining that he took the better half of the samples, that they needed them for testing, and telling him they would replace his slides with the others they had, but later refused to do so. STURP then had their lawyers write to McCrone and demand all STURP samples be returned (because McCrone still had a few left over slides, all eventually returned). STURP now has all their original Shroud sticky tape fiber samples somewhere, and either Paul Maloney or Alan Whanger has Max Frei’s sticky tape slide samples somewhere. As far as I know, no non-STURP or skeptical non-pro-authenticity microscopist has been allowed to study either of these sets of samples since Walter McCrone many years ago. STURP has thus kept the lid on the evidence that conflicts with their pro-authenticity beliefs by disparaging or ignoring McCrone’s analytical results, and making it difficult or impossible for others to examine the evidence themselves to reach their own conclusions. If McCrone did not have the reputation as the greatest microanalytical chemist and microscopist in the history of microscopy and a man of the highest integrity, we scientists would be in trouble. And who is McCrone? Just see the entry below this one. They had big crosses around their necks. I thought they might be biased. Thirty years ago I read the above in ‘The Shroud of Turin: New findings confirm old ones: it is a 14th-century fake’. That November 1988 article in Scientific American was published right after the radiocarbon testing on the shroud. The next decade McCrone published his book. He concluded that the faint sepia image of the Turin shroud is made up of billions of submicron pigment particles. The “blood” areas also contain pigment particles. Left, particles of red ochre paint in a gelatin-based medium tint the surface of a ‘blood’ spot on the shroud (see Judgement Day For The Turin Shroud, p. 91, Figure 22). McCrone’s book is very technical. For an overview see the page of the Walter McCrone Research Institute: here. My conclusions about the “Shroud” were based on examination of particles firmly attached to the more than 43,000 linen fibers picked from the linen surface by the sticky tape. A very thin collagen tempera coating on the image-area fibers encapsulated literally billions of submicrometer red-ocher and vermillion pigment particles. They were not loose airborne dust and they were not present in nonimage areas. In a real sense we did have controls: 14 of the 32 tapes were taken from areas of cloth away from the image. Regarding my two posts above this one, I must add that McCrone was probably wrong that the image on the shroud is a normal painting. It’s made of pigments, yes: but the artistic procedure was a little more complicated than a regular painting, as we shall see in the entries of my shroud mentor, Marvin Mueller (pic left). I have not made an exact calculation, but I get the impression that for every fifty credulous books on the relic of Turin there is one sceptical book (what moved me to reproduce the images of their covers on the sidebar). Marvin Mueller, a very busy scientist who did not publish a book about the shroud but articles and long letters, helped me to cure myself of my credulity. Dr. Mueller, who passed away in 2015, was the author of an article that originally appeared on Vol. VI, No 3, pages 15-34 of the Skeptical Inquirer magazine. You can read the PDF of Mueller’s article here and see how the medieval artist probably used a far more unusual method than painting. A love letter from God? From personal experience as a former pseudoscientist I know that, when one is immersed in the dogma of a false science, the believer swears that it is real science. A typical believer in a classical pseudoscience, such as the study of UFOs or parapsychology (I used to be a parapsychologist), ignores that there is a litmus test to distinguish between false and true science: the principle of the falsifiability of a hypothesis that Karl Popper devised in The Logic of Scientific Discovery. In short, for a hypothesis to be scientific it has to be refutable. Pseudoscientists follow the opposite methodology: they present their central hypotheses in such a way that they cannot be refuted. A typical case of pseudoscience from the Popperian point of view is sindonology, the study of the Shroud of Turin. The very term, Sindonology, from the Greek sindon—the word used in the gospel of Mark to describe the type of the burial cloth of Jesus—signifies that the whole field is pseudoscientific. How can a scientist study a fictional object (scholarship since Reimarus has demonstrated that the New Testament narratives are literary fiction)? Geoffroi de Charny, a French knight who died in 1356 at the Battle of Poitiers, was the first recorded owner of what later became known as ‘the Turin Shroud’. When in the late 1980s I was immersed in sindonology, I not only read a huge amount of literature on the subject where I learned about the de Charny story but even contacted the ‘experts’ by mail, some personally. The late Dr. Enrique Rivero-Borrell, the foremost expert on the shroud in Mexico, told me something I should mention. I met him at a meeting of a group of Catholic sindonologists who believe that the image of the shroud is nothing more and nothing less than a late ‘love letter’ that God left behind in the 1st century as proof of the Resurrection for our scientific age! The meeting with Rivero-Borrell, presided by Faustino Cervantes Ibarrola, a pleasant priest, was held in the aftermath of the carbon-14-dating tests results performed on the shroud in 1988. Rivero-Borrell, president of a sindonological organisation, was very confused. The tests, endorsed by the cardinal of Turin himself, revealed that the fabric dated from 1260 to 1390 CE. Keep in mind that the shroud is exactly about the size of an altar cloth; in no way it resembles the several burial cloths used by Jewry. Since the shroud made its first appearance in a town in France, precisely in the times of de Charny, it could not be more significant that science corroborated that the cloth was manufactured in the 13th or 14th centuries. However, I continued my investigation of the shroud because the image remained mysterious. That was how I learned a couple of years later that Rivero-Borrell left behind all his previous confusion of 1988. Very enthusiastically, he told me that the latest research had revealed that the carbon 14 tests had come out medieval because a fungus had covered the cloth, changing the molecular chemistry and the results turned out aberrant! In other parts of the world, other sindonologists said that Jesus’ energy in the resurrection, which they call flash photolysis—the very moment when Jesus was resurrected—not only left the miraculous imprint on the sheet, but changed its molecular chemistry. That’s why the results had come out medieval instead of the 1st century! (a rather clumsy deity was this one who intended to leave behind ‘a love letter’ for us). The least absurd excuse among the sindonologists that I heard is that the piece of cloth to which they applied the carbon 14 tests was attached to the shroud; not a part of the original fabric. All these excuses have something in common: they present us their central hypothesis—that the image of the Turin shroud is the result of a miraculous imprint at the very moment of Jesus’ resurrection—as an irrefutable hypothesis. And it is precisely the irrefutability of the central hypothesis of a field of study the most common feature in pseudosciences. For example, those who study UFOs say that there is a conspiracy that involves all governments since 1947: government officials who have hidden evidence from the American people of extraterrestrial visitors. This is an irrefutable hypothesis insofar as, when a sceptic requests evidence that an alien ship exists in a top-secret hangar, the believer responds that everything is jealously guarded by sinister instances of the federal government. A massive conspiracy involving all presidencies from Truman to Trump, including the CIA and the FBI, and which continues today, cannot be refuted. Every time the sceptic complains that a massive conspiracy stresses the claim to the breaking point, the believer responds that the sceptic himself might be a paid CIA agent! I’m not kidding: some ufologists used to say that about the late Philip Klass, the CSICOP specialist in UFOs, whom I met at a conference. The same happens in the field of parapsychology. I used to believe that extra-sensory perception (ESP) and psychokinesis (PK) exist, but that they are such erratic phenomena that it is very difficult to demonstrate methodically and repeatedly in the laboratory. That is, there is no way to adequately submit the paranormal hypothesis to the protocol of refutability devised by Popper. That does not mean that ESP and PK do not exist. It means that the parapsychologists, who claim that they have reliable, empirical evidence of the existence of the paranormal, violate the principle of falsifiability by calling their field of study strictly scientific. Such a pseudoscientific methodology is what the sindonologists also follow. Take for example the least insane of the above-mentioned excuses about why, according to believers, the carbon 14 tests did not come out of the century they expected: that researchers could have cut a cloth attached to the shroud, not the fabric where the image is. If pro-authenticity advocates were true scientists they would not come up with such a thing. They would simply ask the Pope to allow another carbon 14 test on the cloth, this time from the area they consider appropriate. Meanwhile, the wise sindonologists would suspend judgment until the Pope approves another series of tests. Instead, what they do is focusing on a battery of secondary tests. Most of such tests are unrelated to the dating of the cloth; tests that purportedly show that the image remains mysterious. Wikipedia is horrible about politics in these times of mass non-white immigration into the West. But in neutral articles such as science, engineering, computing and even putting pseudosciences in place, it can be a good resource for consultation. In 2004 the article on the Shroud of Turin became ‘a featured article’ on Wikipedia: the maximum decoration offered to an article in that online encyclopaedia. Over the years, several sindonologists began to get their hands on it and currently it is not even considered a ‘good article’, the previous step to convert the Wiki article into a featured one by the standards of that encyclopaedia. The Shroud of Turin or Turin Shroud (Italian: Sindone di Torino, Sacra Sindone or Santa Sindone) is a length of linen cloth bearing the negative image of a man who is alleged to be Jesus of Nazareth. It is kept in the royal chapel of the Cathedral of Saint John the Baptist in Turin, northern Italy. The cloth itself is believed by some to be the burial shroud that Jesus was wrapped in when he was buried after crucifixion. It is first securely attested in 1390, when a local bishop wrote that the shroud was a forgery and that an unnamed artist had confessed. Radiocarbon dating of a sample of the shroud material is consistent with this date. (Phase contrast microscopic view of image-bearing fibber from the Shroud of Turin during the Carbon 14 test.) In 1988, three radiocarbon dating tests dated a corner piece of the shroud from the Middle Ages, between the years 1260 and 1390. Some shroud researchers have challenged the dating, arguing the results were skewed by the introduction of material from the Middle Ages to the portion of the shroud used for radiocarbon dating. However, all of the scientific hypotheses used to challenge the radiocarbon dating have been scientifically refuted, including the medieval repair hypothesis , the bio-contamination hypothesis and the carbon monoxide hypothesis. Despite numerous investigations and tests, the status of the Shroud of Turin remains murky, and the nature of the image and how it was fixed on the cloth remain puzzling. To distinguish science from pseudoscience the crux is not verifiability but refutability, that in scientific jargon they call falsifiability. For example, for years astronomers had predicted the physics of a collision between two neutron stars. But it had not been possible to verify it for the simple fact that, until very recently, the phenomenon had not been observed in radio telescopes. And there are astronomical hypotheses that cannot yet be verified due to lack of observation. It may take centuries without these other phenomena being observed. The idea is to elaborate a solid principle of demarcation that will serve us today to distinguish between true and false science. In addition, in a borderline area of research, such as the shroud of Turin, there is no lab test of ‘Christness’ as there are, say, tests to detect a human pregnancy. What does it even mean ‘scientific verification’ that a cloth covered the body of Jesus? The most we can do is date the linen with reliable radiometric tests. If the results come out after the 1st century of our era, it is ruled out that it is authentic. The point is that this strategy is not verification but falsification of the 1st century hypothesis. What is pseudoscience? It’s difficult to come up with a strict definition. In the real world things are not clearly delineated but surrounded by gray areas that doom any hard definition. As the term implies, a pseudoscience is a doctrine or belief system that pretends to be a science. What distinguishes pseudoscience from real science? [Some authors] have discussed criteria for separating real science from pseudoscience and for helping to decide whether a new claim is pseudoscientific. The most common characteristic of a pseudoscience is the nonfalsifiable or irrefutable hypothesis. This is a hypothesis against which there can be no evidence—that is, no evidence can show the hypothesis to be wrong. It might at first seem that such a hypothesis must be true, but a bit of reflection and several examples will demonstrate just the opposite. Consider the following hypothesis: “I, Terence Michael Hines, am God incarnate, and I created the universe thirty seconds ago.” Now, you probably don’t believe this hypothesis, but how would you go about disproving it? You could argue, “You say you created the universe thirty seconds ago, but I have memories from years ago. So, you’re not God.” But I reply, “When I created the universe, I created everyone complete with memories.” We could go on like this for some time and you would never be able to prove that I’m not God. Nonetheless, this hypothesis is clearly absurd! Creationists, who believe that the biblical story of creation is literal truth, often adopt a similar irrefutable hypothesis. They claim that the world was created less than ten thousand years ago. As will be seen in chapter twelve, vast amounts of physical evidence clearly refute this claim. All one has to do is point to something older than ten thousand years. Backed into a corner by such evidence, creationists often rephrase the creationist hypothesis in an irrefutable form. They explain the clear geological and fossil evidence that dates back millions of years by claiming that God put that evidence there to test our faith. An alternative version is that the evidence was manufactured by Satan to tempt us from the true path of redemption. No evidence can refute either of these versions of the hypothesis, since any new piece of geological or fossil evidence can be dismissed as having been placed there by God or Satan. This does not make the hypothesis true—it just makes it nonfalsifiable. Such a hypothesis contributes nothing to our understanding of the physical world. When in November of 1989 the group of sceptics known then as CSICOP visited Mexico City, I was completely lost in the paranormal. However, I always had a predisposition for honesty, in the sense of being able to change my worldview if coming across facts and solid arguments based on facts. The visit of CSICOP to the city where I live changed me in many ways. The sceptic who had published a critical book on the Shroud, Joe Nickell, had been unable to come. But for the first time I spoke with the professional critics of parapsychology: two academic psychologists whose hobby was to read all the important journals of parapsychology, and publish their critique in specialized journals. It was because of their work that I learned the enormous amount of dedication that the refutation of a single pseudoscience, such as parapsychology, requires. But the problems do not end with finding a couple of motivated sceptics. Their criticism may be true, but the popularisation of the criticism was difficult to divulge because scepticism does not sell. In a society for mass-market consumption what sells well are claims of the paranormal. For example, the copy I have of David Sox’s book (see sidebar), which I read in the same year I met the sceptics, is made of very cheap paper. If we compare it with the elegant books of pro-authenticity advocate Ian Wilson, Sox’s book seems extremely modest. Nonetheless, despite the poor quality of the paper and the covers, Sox does not violate Occam’s razor by postulating unnecessary miracles. His out-of-print book is more relevant to understanding the relic of Turin than those still in-print books of his popular colleague. I hope the information provided in this site serves as a sort of sceptic’s corner in a world where the majority of books and websites on the Turin Shroud come from the pen of advocates. Chivers, Tom (20 December 2011). ‘The Turin Shroud is fake. Get over it’. Daily Telegraph. Christopher Ramsey, ‘The Shroud of Turin’, Oxford Radiocarbon Accelerator Unit, March 2008. Radiocarbon Dating, Second Edition: An Archaeological Perspective, By R.E. Taylor, Ofer Bar-Yosef, Routledge 2016; pg. 167-168. R.A. Freer-Waters, A.J.T. Jull, ‘Investigating a Dated piece of the Shroud of Turin’, Radiocarbon, 52, 2010, pp. 1521–1527. Schafersman, Steven D. (14 March 2005). ‘A Skeptical Response to Studies on the Radiocarbon Sample from the Shroud of Turin by Raymond N. Rogers’ (available online: here). The Shroud, by Ian Wilson; Random House, 2010, pgs. 130-131. Gove, H. E. (1990). ‘Dating the Turin Shroud: An Assessment’. Radiocarbon. 32 (1): 87–92. Some see the origin of the image on the Shroud as paranormal, rather than miraculous. They suggest that supernatural, rather than Divine, forces may be at work. Mexican parapsychologist César Tort has raised the possibility that the image is a ‘thoughtograph’. There is evidence—controversial, but not easily dismissed—that some psychics can create recognizable images on film by the power of thought alone. The most famous case is that of Ted Serios, an alcoholic Chicago bellhop, whose abilities were studied intensively in the mid-1960s by the eminent researcher Jule Eisenbud. If it exists, the ability of the mind to affect the highly sensitive chemicals of photographic film would seem to be a natural variant of psychokinesis (PK)—the alteration of the state of a physical object by mental influence alone—as exhibited most famously by Uri Geller. Tort points to a similar phenomenon, that of images appearing spontaneously on the walls and floors of buildings. He cites a well­documented case from the 1920s, when the image of the late Dean John Liddell appeared on a wall of Oxford Cathedral. Such pictures are usually of people of special sanctity, but not always. In one case in Bélmez de la Moraleda in Spain, which was investigated by the veteran parapsychologist Professor Hans Bender one-time mentor of Elmar Gruber, co-author of The Jesus Conspiracy, leering, demonic faces have appeared regularly on the walls and floors of a house for more than twenty years. César Tort’s starting point was the paradox between the historical and scientific evidence that we had already noted: the image on the Shroud is more consistent with actual crucifixion (and so, to most people, with the first century), than with a medieval artistic forgery, but the carbon dating and the documented history show it to be medieval. How, asked Tort, could a fourteenth-century cloth show a first-century image? So he speculated that it was a thoughtograph, projected onto the cloth by the collective minds of the pilgrims who came to meditate on a (then plain) cloth that they believed had wrapped their risen Lord. Tort admitted the main objection to this scenario: even suspending disbelief about the reality of thoughtography, we would expect the image to conform to the beliefs and expectations of those who unconsciously created it. To a medieval mind, there should be nails in the palms (not the wrists), Jesus should look younger, and he would certainly not be naked as here. To explain this, Tort has to invoke another paranormal phenomenon—retrocognition—where the past can be psychically perceived. The title of the book is Turin Shroud: In Whose Image? by Lynn Picknett and Clive Prince. The book mentions my name again on pages 48 and 57-58. I never imagined that what I had written in an obscure Journal (see footnote) could have been taken seriously by other researchers. Before the Houston surprise, the spiritual odyssey it took me to disbelieve paranormal phenomena would require an autobiographical treatment. If life allows, I will write about that stage in my private Hojas Eliminadas. Here I would just like to confess how it was that I began to question my belief that the Shroud image was ‘a double paranormal phenomena’ to quote again from Picknett and Prince’s book referring to my 1990 article. I owe it, in large part, to the correspondence I had with Dr. Marvin M. Mueller of Los Alamos National Laboratory. Those who have read my other blogs will probably be surprised that, at one stage of my life, a very busy scientist had to squeeze his very limited time to answer my letters, sometimes in a very technical way. Muller’s epistles made me rethink. They revealed that the asymmetry in hours-work of the scientists who believe that the Turin Shroud wrapped Christ and of those who believe that it is a medieval forgery is tremendous. I had not realised at that time, so immersed in sindonological literature, that it was similar to listening 99 percent of my time to the lawyer and only 1 percent to the prosecutor. Mueller made me see that due to the asymmetry in work-hours, the unsuspecting reader of Shroud literature could fall into a cognitive trap. Together with the literature of the CSICOP, thanks to Mueller’s letters which I reproduce in the following entries, I abandoned the paranormal hypothesis. I am indebted to him: an authentically objective scientist, and would like to thank him here for his epistles, even posthumously. Only recently I found out the obituary that starts with these words: ‘Marvin M. Mueller, 86, a resident of White Rock, passed away after a lengthy illness on Wednesday, February 4, 2015’. Tort, César J. (1990) ‘The Turin Shroud: A Case of Retrocognitive Thoughtography?’, Journal of the Society for Psychical Research, Vol. 56, Nº 818, pages 71-81. Note C.T. : Note that when Mueller received my first letter, he was unaware that I still believed in the reality of paranormal phenomena (which will be clarified in the following letters). I wish to apologize for the delay in responding: Your letter took three weeks to get here but most of the delay was my fault. While I know nothing of you and your background, your command of the language indicates that you have probably spent a lot of time in an English-speaking country. Our positions on Shroud matters do seem quite concordant. I likewise am a rather complete skeptic; so much so that I also am skeptical of views put forth by skeptics—including my own. Welcome to the club! Skeptics do have their share of human foibles, including fallibility and the tendency to become entrenched in their positions—particularly when they form a large organization of skeptics. I’m enclosing a copy of Dr. Jackson’s recent detailed preprint, “The Vertical Alignment of the Frontal Image”. Again, as always, John Jackson impresses me with the extraordinary dedication and thoroughness with which he has pursued this arduous research side-line. The number of man-hours over the past fifteen years or so that he and his collaborators have put in to nitty-gritty work on the problem posed by the Shroud image is simply staggering, and may even surpass the chemical work of similar thoroughness done by Adler and Heller. As you know, in contrast to the early days (mainly before 1981) when their scientific claims were not-infrequently dubious and occasionally irresponsible, nowadays I have little quarrel with STURP’s research generally. However, I still do question particular inferences and conclusions. As you know, for many years now, I have regarded the Shroud image to be a genuine mystery but only a technological/artistic one as opposed to the transcendental mystery proposed by so many for so long. While the mystery has deepened since November, 1981 when I wrote the Skeptical Inquirer article, my opinions have not changed very much since then. Even then, as a careful reading will show, I was rather skeptical towards the separate claims of Nickell and McCrone that they had solved the mystery, and I proffered a somewhat different (but rather non-specific) hypothesis of image formation. By now, I’ve become even more certain that neither Nickell nor McCrone has solved it, although the possibility remains that Nickell might be on the right track methodologically. So I find myself somewhere between the STURP and the CSICOP camps on the image issue—and somewhat persona non grata to both. What Jackson in particular and other STURP members in general have done is to demonstrate beyond reasonable doubt that the Shroud image is indeed a real mystery. And the dating of the flax from which the cloth was made to post-1200 AD with scientific certitude does not essentially alter that mystery—although it does recategorize it from the possibly epochal to the probably mundane. More to the point, the July 15, 1984 Applied Optics article by Jackson, Jumper, and Ercoline rather convincingly demolished Nickell’s claim of having solved the mystery, even though their work with actual rubbings seemed cursory and uncharacteristically non-thorough. To my knowledge, to date no one has spent any significant effort in trying to produce a definitive test of how well rubbing and related methods can simulate the Shroud image. So the issue remains moot as to whether some variant of an imprinting method could have been used to produce the image. (Cf. what I wrote in Nov., 1981.) My concept is that, through iterative trial and error, a dedicated artisan could (tediously) learn how to distort the sculpted reduced­relief figure—call it a bas-relief for brevity—in such a manner that the final imprinting product is as anatomically accurate and esthetically appealing as the Shroud image. For example, in the context of the rubbing technique, making the nose of the bas-relief unrealistically thin with just the right shape should lead to a rubbing with a more natural-appearing nose. While it is true that Jackson et al. have demonstrated an amazing correlation between measured image density and cloth-to-body distance (under a multitude of assumptions), I would point out once more that correlation does not imply causality—and that even stranger coincidences do happen. 2. In my conception, production of this image by an individual or group required an extraordinary amount of tedious effort—an effort not likely to have been made often or for mundane rewards. However, in the context of medieval culture, whether fraud or simply producing a first-class aid-to-worship was originally intended, very strong motivation (whether spiritual or monetary) could be expected—but only for this particular subject, thereby enhancing the chance for uniqueness. Certainly if the original intent was fraudulent, the hard-won techniques developed for this particular purpose would not have been shared, further increasing the probability of uniqueness. Furthermore, even those extraordinary medieval technological developments that we know about (such as cathedral engineering) were not usually written down for posterity. Thus, many techniques were doubtless invented, reinvented in different contexts, and subsequently lost to history. Hence our knowledge of pre-Gutenberg technological developments is a bit like the fossil record in paleontology. So the uniqueness of the Shroud image is not really all that unexpected given the historical context. Nonetheless, if the technique had been simple and easy, it might have found mundane applications and thereby survived. At this time, I believe the question remains open as to whether or not some iteratively-refined imprinting technique could have been used to produce that unique image. The number of possible variations and adaptations is indeed large, so establishing experimentally that an imprinting method utilizing a reduced-relief sculpture could not have been employed can be expected to be very difficult and extraordinarily time-consuming. Since establishing a negative in these circumstances is so difficult to do experimentally, I have long expected that Dr. Jackson would try to do this mathematically from first principles. However, if he has made the attempt it remains unpublished, and thus was probably unsuccessful. (So this remains an unexplored application of mapping mathematics to the data derived from the Shroud image; I’m a bit tempted by it but would need to be very strongly motivated indeed to make the time for it in my over-busy life—and, given the results from carbon dating, this is very unlikely to happen.) In a sense, Jackson’s lengthy preprint is pointed in that direction since it provides the detailed data bearing on directionality correlations of the image intensity under the assumption that the image was somehow produced from a full relief. However, it does not explicitly address the imaging issues stemming from the possible employment of a reduced relief. Even before the carbon-dating results were out, getting skeptics to do any real work on Shroud issues was nearly impossible since they felt certain the outcome would be what did in fact turn out—and since such work, being of little scientific interest in itself, would not advance (and could impede) their careers. Now, of course, since there is no reason to doubt those impressively-consistent results, these reasons are valid a fortiori. Except for perhaps two or three weeks each by McCrone, Nickell, and Fischer, there has been almost no hands-on bench work put-in by those on the skeptical side. In contrast, the total effort by STURP was probably over a hundred times larger. Shroud skeptics are not easy to motivate at the nitty-gritty, nose-to-grindstone level. Yet science, to perform properly, demands that a serious effort be made to invalidate claims and hypotheses. The image problem is not easy to address experimentally and a thorough test of Jackson’s conclusions could easily take months of work by a small team—preferably by a totally independent one. Moreover, a concerted effort should be made to develop iteratively-improved variants of imprinting techniques, and then the images should be subjected to Jackson-like scrutiny. Obviously, after the carbon­dating results have nearly killed general interest in the Shroud, the chance of anything like this happening in the foreseeable future is about zilch. For now, absent any reason to doubt those impressively consistent results, we can be certain that the image was somehow produced by human artifice. So, barring a totally unexpected novel insight, I cannot be optimistic about the chances that the mystery posed by the image will be cleared up in the next several decades. What remains is an issue more of technical/historical interest than of scientific interest. 1. Contrary to the statement in the first paragraph, the resolution does not really approach that of a focused photograph. In the facial region, the sharpest by far, it may be only a couple of millimeters at best—hardly photographic. In the rest of the ventral image, it is not much better than half a centimeter or so, and in the dorsal image much worse yet—except for the flagellation marks. By the way, are not these area-specific resolutions in agreement with what an artist performing an arduous task would be inclined to do? Concentrating on the face and short-changing the more remote regions bears the stamp of humanity. 2. Why does everyone nearly ignore the dorsal image apart from the flagellation marks? If it were formed by a real body as opposed to a sculpture, wouldn’t it show the effects of weight-induced flesh distortions? In particular, how does the intensity distribution of the dorsal image agree with Jackson’s model of intensity fall-off with cloth-body distance? 3. A cloth can be draped in quite a few ways depending on precise circumstances, therefore several of Jackson’s interpretations are open to question at a detailed level—particularly since, under his methodology, a change of only a couple millimeters in the vertical position of the cloth can produce a pronounced alteration of the image intensity. (Minor point: Under Jackson’s assumptions, could not a small sag in the cloth account for the “bruised cheek”?) Also, relatively minor variations in the assumed cloth draping might reduce the discrepancies between Jackson’s two putative projection directions (vertical and normal to the cloth) to within the statistical uncertainty. These are only a very small fraction of the many diverse questions that might be raised in a critique of Jackson’s impressively-detailed work. There are also entire classes of problems that relate to it somewhat obliquely—such as the strong indication that the precise positions of the bloodstains can be understood only if they were produced by contact with a full figure, as opposed to a bas-relief. So even if the image was produced by some form of imprinting from a reduced-relief sculpture, the bloodstains were apparently transferred from a full figure. But, I’m stopping here: The mystery is very real indeed and it is not likely to be solved soon. However, I have little desire to again become involved in these studies. These are the words that appear in the image at the top of this entry with Muller’s signature. SOMIE is acronym for The Sociedad Mexicana de Investigación Escéptica (Mexican Society for Skeptical Research), to which I never belonged but had mentioned in my letter. Your latest letter also arrived here exactly three weeks after it was postmarked. Three times now establishes this as the norm. My apology for not replying to your earlier letter and extensive enclosures before this. They were much appreciated and, over time, were read with intense interest. I particularly enjoyed the JSPR exchange with Nickell—whom you clearly bested. I also found Maloney’s letter and your response to it to be most informative and intriguing. He seems to be a sound scholar. Your letters have tempted me to reenter the fray; however, this is perhaps the most overbusy time of my whole life (I’m 61). Amongst other matters, I’m heavily involved with an ongoing review of the national laser-fusion program by the National Academy of Sciences. So I must leave Shroud matters and issues to others. Your paranormal hypothesis is different and interesting—no doubt about it—and is certainly one which would never have occurred to me. My own position regarding the paranormal is reasonably open-minded while, at the same time, highly skeptical. I have never bothered to write it down, and won’t attempt it here because of its complexity. Too briefly, it is that any extraordinary claim must be based on extraordinarily-sound evidence before it can be taken seriously—and that definitely seems to be absent here. You may find interesting what I (casually and informally) wrote to a New Jersey man six years ago on the topic of the relationships among science, the supernatural, and the Shroud. (Copy enclosed; please forgive the handwriting.) Some part of this is also applicable to paranormal hypotheses. In a nutshell: They are unscientific unless all conventional hypotheses have decisively been ruled out as possibilities. But our necessary reluctance to embrace a totally new paradigm should never be so obstinate and unyielding as to render a really-big conceptual advance impossible. This eternal tension at the frontiers of our understanding in all of the disciplines is, in my opinion, as inescapably necessary as it is ubiquitous. It is the price we must pay for being limited, fallible beings with a strong penchant for inquiry and understanding—and should be viewed as an essential part of the human condition. Finding and keeping the proper balance between open-mindedness and skepticism while we walk this (Occam’s) razor’s edge is a job more fit for gods than for mortals. The only suitable adaptation to this situation is profound humility in our common human quest for understanding in such an intricately complex world. Also enclosed, is a copy of my letter to Joseph Marino, which I’ll let speak for itself. Thanks for suggesting the publication of my April 15 letter in your letter to him. I interpret this as indicating a commendable level of objectivity on your part. If this should perchance eventuate in tests of my iterative-imprinting hypothesis, which then rule it out as a possibility, this development would certainly make your hypothesis more attractive to a far larger number of people. Since my hypothesis may be the only viable naturalistic one extant at this time, and since your hypothesis will never be widely-accepted as a legitimate one until all naturalistic artistic ones have been definitively refuted, you do have a vested interest in encouraging definitive experimental studies of it. But, as I mentioned in my previous letter, the chief problem lies with motivating enough scientists and artisans to undertake such a program of arduous research with a Jacksonian intensity, and the prospects of this happening seem bleak to me. There is a notable motivational asymmetry between the two sides of the Shroud controversy. Thanks for the copy of the May issue of SIMST. I found it very interesting, particularly since I no longer have access to most of what is going on in the Shroud world. While I can no longer be classed as a Shroud scholar of any kind, I do like to maintain a passing acquaintance with the current literature listings. The excerpts were fascinating—particularly the one from Dickinson. My feeling is that Dickinson’s hypothesis may be vulnerable to disproof by geometrical considerations, although I have not attempted this. By the way, your hunch was correct: Frazier never replied. Those who, like us, tend to be quite “independent thinkers”—but no one truly is, in any absolute sense—can expect to become persona non grata to just about every organization. While wrapping a cloth around a life-sized statue would result in a distorted image, placing a cloth over a bas-relief would result in an image like the one seen on the shroud. I also took other photos of this ‘shroud’, front and back, in addition to the one reproduced at the left. In his adult life Dr. Rivero-Borrell delivered more than a thousand lectures on the TS, and as a physician his special interest was the pathology of crucifixion. By his own account, he applied a mixture of skin cream and pigments to a naked man before wrapping him with a cloth. If memory serves an altar cloth—like the altar cloth used to create the TS image—was used. Since the original colour of the image was strong, Rivero-Borrell washed the cloth resulting in the image visible on the photo. Thereafter he painted the blood, the burning marks and the water spots by hand. The face was not touched up except for the ‘blood’. The hair has a peculiar appearance since the man was wearing a wig. The similarity of the body image of the Rivero-Borrell ‘shroud’ with the body image of the TS is remarkable. The importance of Rivero-Borrell’s ‘experiment’, as he called it, lies in the fact that without intending it he cracked a long-claimed mystery of sindonological research: the non-distorted image on the TS. Previous to the Rivero-Borrell experiment, those attempts to replicate the TS image from contact transfer techniques with a full human figure grossly distorted it simply because they wrapped the whole pigmented body. When the cloth was stretched out the faces appeared wider than the original model. This was precisely what moved Joe Nickell to postulate that the TS image could had been made with a bas-relief sculpture using a rubbing technique to transfer powdered pigments onto a cloth. But the Rivero-Borrell shroud potentially could solve the distortions problem while respecting Occam’s razor: as there are no historical records of natural-size, bas-relief medieval sculptures, front and back, such as Nickell believes would have been utilised to create the TS image. What Nickell and other researchers could have missed is that it is unnecessary to wrap all of the body; it is enough that the cloth touches the human model’s front and back leaving his sides untouched. Walter McCrone’s observations on the TS have been challenged by the STURP but not refuted, which means that the TS image may have been fabricated in a similar way as Rivero-Borrell made his copy, with skin cream and pigments. According to McCrone, the yellow fibres were the result of an animal tempera medium having yellowed with age. STURP concluded that the yellowing of the body image was due to cellulose degradation. But cellulose can be degraded with some foreign material transferred from a body contact with the cloth. 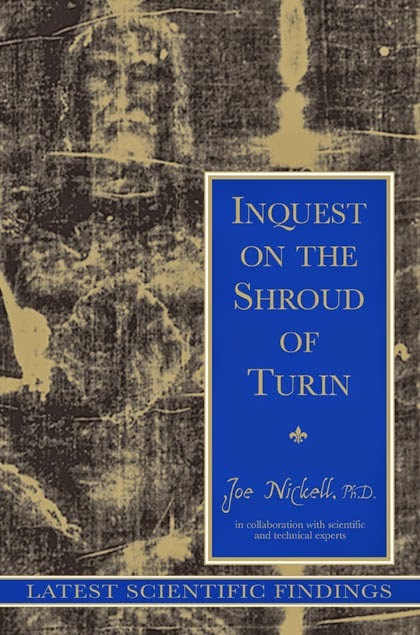 ‘One may wonder’ writes Nickell by the end of his chapter on the yellow fibers mystery in Inquest on the Shroud of Turin, ‘why we were able to find a plausible explanation for the cellulose degradation while STURP could not’. If McCrone was right about the presence of pigments and STURP wrong, the ‘judgment day for the Shroud’ may be at hand, to paraphrase the title of McCrone’s 1999 book on the TS published a few years before he died (Rivero-Borrell had passed away in 1998). I sent a letter to Marvin Mueller with several photos of the Rivero-Borrell shroud, including the photo showing the image of the man’s back on the cloth, missing in the present entry. Mueller was impressed—see his March 1994 epistle in the next entry. I sent the same photos to Joe Nickell who had answered me in January of 1994. Nickell showed some scepticism about Rivero-Borrell’s work, and suggested that I tried to replicate what he did. It’s almost a quarter of a century since Mueller and Nickell answered my printed letters and enclosures, and I have not tried to replicate Rivero-Borrell’s work yet! Why in 2018 I still don’t bother to purchase an altar cloth, pigments and use some of my free time for a test? Because I want to make a point. In his previous letters Mueller hit the nail. In terms of experimentation, the work of the STURP Christians took a hundred times more of man-hours work than the experimentation of secular humanists like McCrone, Nickell and Fischer together. In armchair work, it is far more than a thousand times, according to my estimate, the amount of intellectual work that the TS believers have used compared to skeptics. We simply are unmotivated. When in the late 1980s and early 1990s I was interested in the TS as a subject, there was no Internet in Mexico. My ideas about Rivero-Borrell’s work remained in printed letters and in archived comments on the Wikipedia discussion page. Now, in the age of the Internet, if I were to have an audience I would try to replicate the work of Rivero-Borrell; this time without the manual touch-ups of blood, burns and water stains that he said were painted. Please refer to the enclosed copy of my recent letter to Mr. [Ben] Wiech, which was written with you in mind as well. If anything, I owe you an even more abject apology for my standard tardiness in replying. The photos (technically impressive for contrast and resolution) are impressive and fascinating and probably constitute a tour de force. Many questions remain, however. A salient one is whether the oil and pigments soak through the cloth or not. My own, fairly casual microscopic examination of a swatch of linen (of Shroud thickness) painted à la McCrone in 1981 (?) convinced me that a standard painting technique could not have been used on the Shroud. I was most surprised by such image quality from an ostensibly full relief. I need to think about this more. In part, this technique reduces the effective relief by simply not imaging the “fall off” proportions of cheeks, legs, etc. So it’s something between a bas-relief and a truly full relief. Clever and interesting: my congratulations to Dr. Rivero-Borrell. Thanks! Hope to write more later, maybe in May. Holmes: “I have no data yet. It is a capital mistake to theorize before one has data. Five years have passed since I first began to write the article which was published in this Journal under the title “The Turin Shroud: A Case of Retrocognitive Thoughtography?” (Tort, 1990), and I believe the time has come to reconsider it. First of all, however, I should clarify that, although I am a secular humanist, I have always considered that the Shroud’s image is a true enigma—even after the carbon-14 tests dating the fabric to the late Middle Ages. I recently reread my article for the first time in a long time. What bothered me most was the excessive amount of references squeezed into such a small space, which, besides giving the article a baroque appearance, made it almost unintelligible. In fact, I am not sure which embarrassed me most, though­—the article’s baroqueness  or the ideas presented therein! I am referring to the bold hypothesis that the figure on the famous fabric was the product of a thoughtographic phenomenon, by penitents who ‘catalyzed’ the image of Jesus of Nazareth in the fourteenth century. I also have to confess that during the actual writing of the article I became aware that the ‘thoughtographic’ hypothesis seemed strained way beyond the limits of credulity, due to the simple fact that there appears to be blood on the cloth—and dirt on the soles of the image’s feet. Because of this, following the concept of my hypothesis, I should have catalogued the phenomenon as a ‘semi-materialization’ instead of placing it, as I did, within the cases of ‘thoughtographic appearances’. Nevertheless, as even materialization cases strain our credulity—including those of us who believe in psi—such a conjecture can seem as far-fetched as the classical hypothesis that Jesus’ resurrection produced the image. But this semantic incursion between thoughtography and semi-materialization is almost irrelevant. 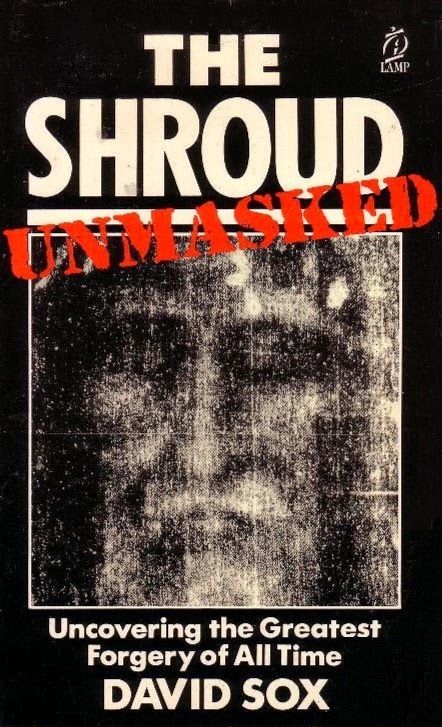 The important thing is that in the past I incorrectly believed that the consensus of the scientific community concerning the Shroud was the same as that of STURP (Shroud of Turin Research Project), the group which directly studied the fabric in 1978. Later, I became aware that this was not so but that just as in the case of parapsychology the majority of scientists have not assessed STURP’s data. This is not due to their closed-mindedness, but because the Church rarely permits hands-on study of the relic, and then only in Turin (which is why STURP spent millions of dollars transporting an entire laboratory to Italy). Shortly after my article was published I received a letter from Marvin Mueller. I was grateful for this but only after some time able to appreciate it (Mueller is a nuclear physicist who has criticized the work of STURP). Mueller’s letter, along with my becoming acquainted with the literature of the Committee for the Scientific Investigation of Claims of the Paranormal, made me seriously reconsider my ideas. The case is that as neither psi nor thoughtography has been conclusively demonstrated—and even less a class of thoughtography that is also retrocognitive!—it is extremely premature to speculate along these lines to solve an enigma. In order to give some plausibility to such a hypothesis, it would be necessary first to discard all the natural hypotheses and also to demonstrate that the images which I have called ‘thoughtographic appearances’ are actual phenomena. To my knowledge, to date no one has spent any significant effort in trying to produce a definitive test of how well rubbing and related methods can simulate the Shroud image. So the issue remains moot as to whether some variant of an imprinting method could have been used to produce the image (cf. what I wrote in [Skeptical Inquirer]). My concept is that, through iterative trial and error, a dedicated artisan could (tediously) learn how to distort the sculpted reduced-relief figure—call it a bas-relief for brevity—in such a manner that the final imprinting product is as anatomically accurate and esthetically appealing as the Shroud image. Except for perhaps two or three weeks each by McCrone, Nickell, and Fischer, there has been almost no hands-on bench work put in by those on the skeptical side. In contrast, the total effort by STURP was probably over a hundred times larger. Shroud skeptics are not easy to motivate at the nitty-gritty, nose-to-grindstone level. Yet science, to perform properly, demands that a serious effort be made to invalidate claims and hypotheses. 1. If STURP’s observations are correct (and they seem to be) an independent group of unbiased scientists should corroborate them. This is an important point because STURP’s assertion that the image is a technical mystery is what has caused all kinds of extravagant hypotheses to be put forward to crack it (including mine). 3. Regarding the Nickell/Mueller hypothesis, “a concerted effort should be made to develop iteratively-improved variants of imprinting techniques, and then the images should be subjected to Jackson-like scrutiny” (Mueller, 1990). 4. And as I mentioned earlier, research is needed to prove whether the appearances on walls and floors are truly thoughtographic (cf., for example, a case I recently investigated in Spain—Tort & Ruiz-Noguez, 1993). Only after all these points have been resolved by science (1, 2 and 4 positively and 3 negatively), will it be logical to present any speculation about the possible ‘retro-thoughtographic’ origin of the Shroud image. But as it is not clear that these four points will be resolved in this manner, I have to acknowledge that my speculations were rash—or premature to say the least. Failing to follow Sherlock Holmes’s advice that opened this note, I committed the capital mistake of theorizing before having the pertinent data. These are only some of the conclusions I have arrived at after publication of my article. The sanest course, ideologically speaking, would be to forget this matter. In the 1940s, when the UFO craze broke out around the world, Arthur C. Clarke declared on one occasion that the most rational thing would be to ignore the phenomenon in the following decades. His words proved to be wise, and I believe the same can be said of the Shroud of Turin, which I sometimes prefer to consider simply a ‘mediaeval mystery’. Mueller, M. M. ( 1990) Personal communication (April 15th). Tort, C. J. (1990) The Turin Shroud: a case of retrocognitive thoughtography? JSPR 56, 71-81. 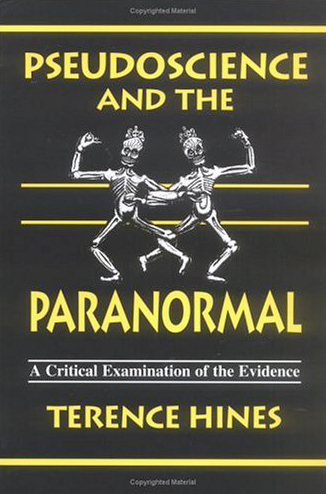 Tort, C. J. and Ruiz-Noguez, L. (1993) Are the faces of Bélmez permanent paranormal objects? JSPR 59, 161-171. Spanish being my mother tongue, I should have paid special attention to style correction. Instead, during the 1989 Christmas season the manuscript was held up in the Mexican postal system for more than a month, and as I had insisted by telephone to the editor that it be published in January (I was excited to see my first article published in a scholarly journal), it was impossible for the editor to correct it. This adolescent impatience resulted in many instances of embarrassing errata as well. Shroud advocates have been on a crusade to vindicate their faith before an unbelieving world. Their claim is nothing less than that the mystery of the image represents physical evidence of Christianity’s basic axiom: the resurrection. John Jackson, an American physicist with a military background, is the head of STURP, and has impressed Mueller with the extraordinary dedication and thoroughness with which he has pursued his research on the Shroud. For the Preface of the above book click on these very letters! 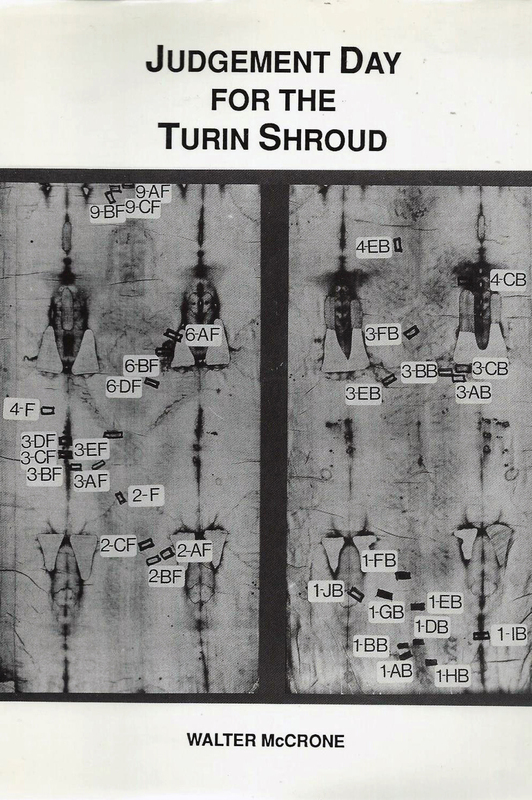 Public statements about research on the [Turin] shroud have been replete with misinformation. Contrary to many claims, human artifice has not been eliminated as a possible method for forming the shroud image. Artifice, in fact, is the most tenable explanation.